The Metro Omaha Medical Society has developed the Strategic Partnership program. These Partners are a group of carefully selected organizations who work closely with the health-care industry and provide expertise, products or services for the benefit of local physicians. We encourage you to talk with our Strategic Partners listed below to meet your personal and professional needs. In addition, the generous financial support of these Strategic Partners assists the Metro Omaha Medical Society in providing members valuable educational programming, physician networking opportunities and much more throughout the year. Interested in learning more about MOMS Strategic Partnership program? 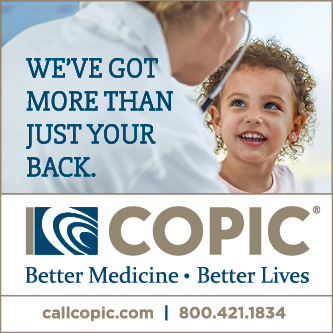 COPIC is a leading provider of medical professional liability insurance and comprehensive financial services tailored for health care professionals. Contact Kristin Stepien or call her at (720) 858-6186. Our health care clients include, among others, hospitals and health systems, academic medical centers, ambulatory surgical centers, physician groups, and assisted living facilities. Our work with these clients includes mergers and acquisitions, formation issues, physician/hospital relations, regulatory compliance, privacy and security issues, health care fraud and compliance, employee benefits and executive compensation, non-profit issues, real estate, tax, employment, project finance and litigation. By working across practice areas within the firm, McGrath North is able to draw on its experience in delivering a comprehensive solution for its health care clients. You may contact Stephanie Sharp, Attorney at (402) 633-1497. Today’s financial terrain has grown more challenging, and it helps to have a trusted partner who can guide you. At Renaissance Financial, we believe a well-rounded financial strategy is crucial in this ever-changing market. We will help you identify your goals, map the course to get there, and walk alongside you as we implement the strategies, with follow-up and reviews throughout the entire journey. As a full-service provider we give you the tools, insights and customized financial strategies to help turn your goals into reality. You may contact Chris Insinger, Insurance & Investment Specialist at (402) 884-6802 or Chad Rutar, Financial Advisor at (402) 682-3900. Core Bank’s vision is to be a truly remarkable company that just happens to be a bank. You see, for us, it’s about you ­­­– our customers. That’s why we’ve designed an elevated banking experience tailored specifically for healthcare. It’s time to bank with a bank that understands you; your challenges, opportunities, and needs. Contact Matt Senden, Vice President of Healthcare Banking or call him at (402) 829-3435. Our Health Law counsel specializes in helping physicians, physician-owned entities, and companies providing healthcare services and products navigate the growth, rapid change and web of regulations in the healthcare industry. We work with our clients from inception on with the creation, management, and ongoing counsel of their practice or business. We are responsive, efficient and flexible to so you can remain effective in this high-stakes, high-demand industry. Contact Richard Vroman, Attorney, Chair of Health Law Practice Group or call him at (402) 343-3810. A leading regional integrated health care delivery system, Methodist Health System provides quality health care and preventive services to residents throughout the Midwest. 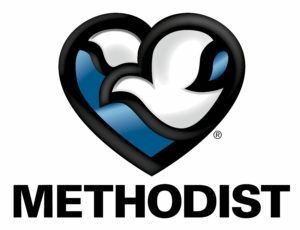 Founded in 1982 as the first health care system formed in the region, the Methodist Health System mission is simple: “NMHS is committed to caring for people.” With three hospitals, more than 25 clinic locations, a nursing and allied health college, medical supply distributorship and central laundry, Methodist Health System brings the full resources of our regional network of health care providers, educators and support services to Nebraska and Southwest Iowa. Contact Jenni Stoll or call her at (402)354-6811. At UMB, your practice is our business. From day one you can count on UMB to be more than just a bank. UMB practice finance specialists partner with you to help you chart the course for your practice now and in the future. After all, we know practices aren’t built overnight; they’re built in stages. Our industry expertise and custom solutions can help you build your practice, at every stage. And for you as a physician, we have created personal and professional mortgage loan solutions tailored to licensed doctorate professionals. Contact Kevin M. Malone, Vice President of Private Banking (402) 889-7166. CBRE|MEGA is Omaha’s premier full service commercial real estate company offering brokerage services, property management, and project management. We assist our clients in finding solutions to their real estate needs by providing world class service and resources. CBRE|MEGA has extensive experience helping medical groups expand, relocate, build-out, and manage their properties. Contact Kellee Mikuls, Vice President at (402) 697-5850; Matt Bogard, Director of Asset Services at (402) 697-5875; or Sam Garden, Director of Project Management at (402) 557-6002. 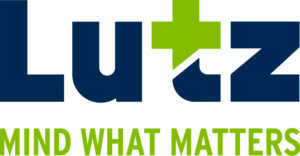 Lutz is an accounting and business consulting firm that provides practices and individual physicians heightened financial and organizational success. Our experienced teams in Omaha, Lincoln, Grand Island & Hastings simplify complexities and provide accounting, healthcare practice consulting, tax, wealth management, recruiting, M&A and technology services. Contact Tara Wisdom (twisdom@lutz.us) or Erin Baas (ebaas@lutz.us) or call at (402)496-8800. The NMA, founded in 1868, is an advocacy organization comprised of 3,000 physicians (MDs and DOs), residents and medical students from across all areas of Nebraska. We encourage those physicians that are not members to consider joining today. Give us a call to find out more about the benefits of belonging to the NMA. Contact Dale Mahlman, Vice President, or call him at (402) 474-4472.